A pine tree commemorates the 75th anniversary of the Gallipoli landings in 1915 during World War One, and Arthur Hiller who was killed at Lone Pine in August 1915. In commemoration of the 75th anniversary of the Gallipoli landings and in memory of Arthur Hiller , who was killed at Lone Pine, August 1915. This tree was grown from a seed of the Aleppo Pine at the Australian War Memorial in Canberra, which originated from a lone pine on Plateau 400 on the Gallipoli Peninsula. 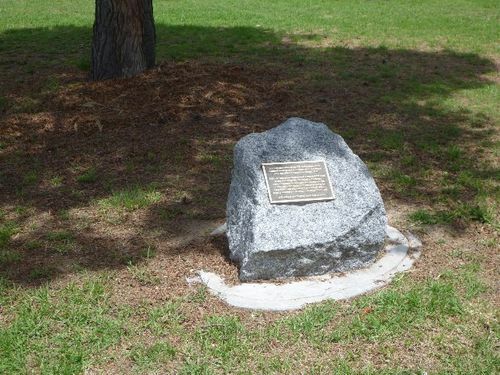 It was propogated by Fred Hillier and planted by Tim and Toby Hillier, the great grandchildren of Arthur, on ANZAC Day, 1900.